It's easy to make a dog bed with PVC pipe. 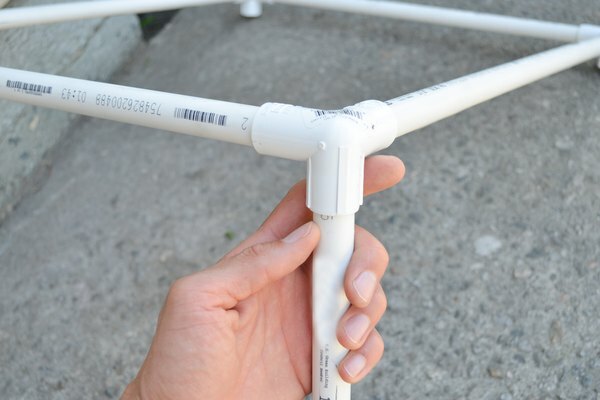 An inexpensive alternative, PVC pipe requires no elaborate tools. This process can be accomplished in less than an hour and will provide your dog with a comfortable place to lounge. 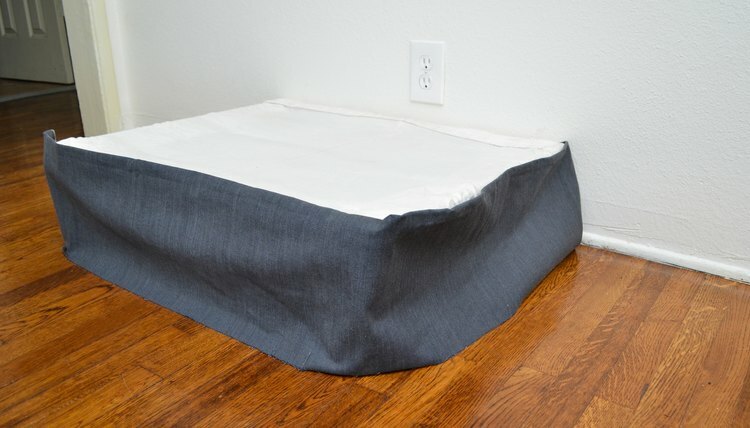 This article will show you how to make a dog bed with PVC pipe. 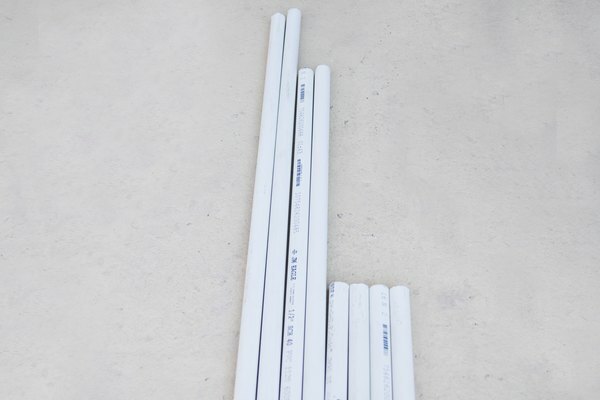 Determine the length your PVC sides need to be. Factor 24 inches for the four 6-inch legs, leaving you 96 inches to work with. Try to keep sides around or under 25 inches so as not to strain the PVC and create a sag in the bed. Good lengths would be 25 inches and 20 inches. This leaves an extra 6 inches for you to dispose of or find other use for. Cut the PVC pipe. 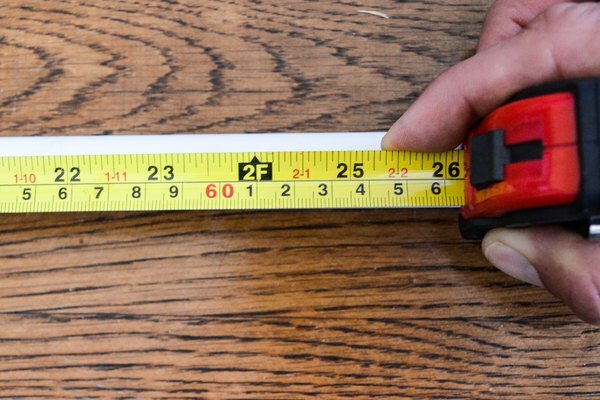 Measure two lengths of 20 inches, two lengths of 25 inches and four lengths of 6 inches. On the 6-inch sides you want to be sure the cuts are straight because these will serve as the legs standing on the floor. A handsaw can work for cutting the PVC, but if you have a table saw available it will make the task easier. Construct the frame of your dog bed. Connect the 25 -inch section to two of the corner pieces. Do the same with the other 25-inch section and remaining corners. Next connect the 20-inch section to two corner pieces, one from each 25-inch section. Do the same with the other 20-inch section on the other corner pieces. Insert the legs into the remaining opening on the corner pieces, making sure that the corner pieces have been connected correctly so that all legs face down. Use a rubber mallet to secure all connections. Cut your fabric. You should use a fabric that will not tear under stress--vinyl, cordura nylon, and polyester are all used to make pet beds. You want to be sure that the dimensions of the fabric exceed the dimensions of the bed frame by 5 inches on each side. This excess will be needed to attach the fabric. 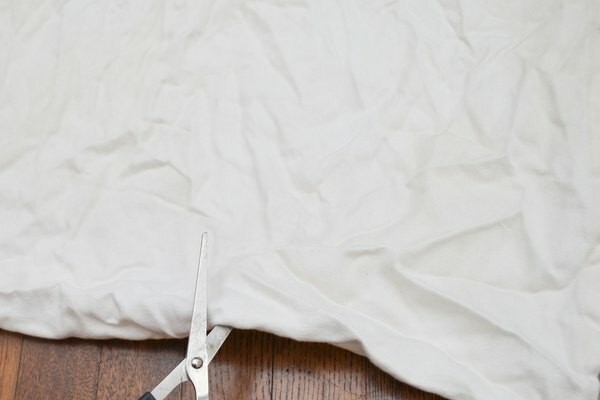 Once you have cut your fabric, put it face down on the floor or table where you are working and place the frame upside down, centered on the fabric. Fold the corners of the fabric in so that the edge of the fabric matches the corner of the frame. Next fold over a 1 inch seam around the sides of the fabric. Wrap the fabric on the sides--not at the corners you have folded in--around the PVC frame. Screw the fabric, on the seam, into the PVC frame. Use as many screws as you think you need per side but be sure the fabric is centered and pulled tightly before screwing. While using self-drilling screws makes manual screwdrivers usable, a drill with a screwdriver bit will be much easier to use. Screw the corners of the fabric. After screwing in the sides, secure the corners by screwing as many screws as you can into the folded corners of fabric. These corners will get the most wear so they need the most support. Also make sure to screw in far enough from the edge of the fabric, a half inch should suffice, so that the fabric doesn't rip out. 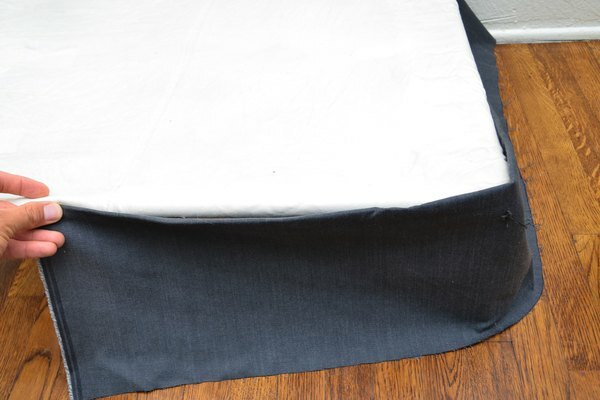 If you wish to hide the PVC frame you can do so by cutting additional fabric to the dimensions from the floor to the PVC where the fabric is attached. Dimensions will be roughly 23 inches by 8 inches and 28 inches by 8 inches--factoring in the added size from the corner pieces. Cut two pieces of fabric at each dimension. Next take velcro strips and apply them to the fabric and frame. 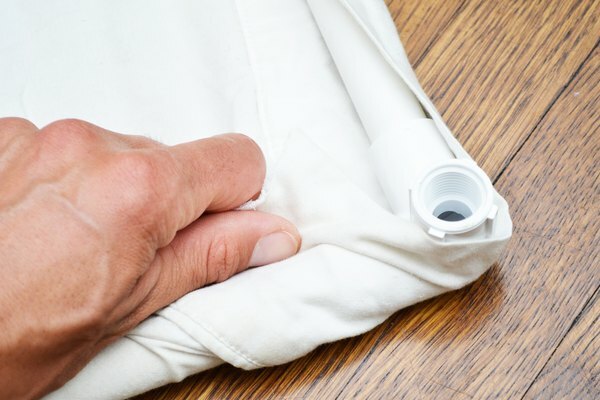 Simply connect the velcro to create fabric sides that hide the PVC. If you have a large dog, you may need two sticks of PVC to make a large enough bed. Purchase more fabric than you think you need; it is better to have extra than to come up short. 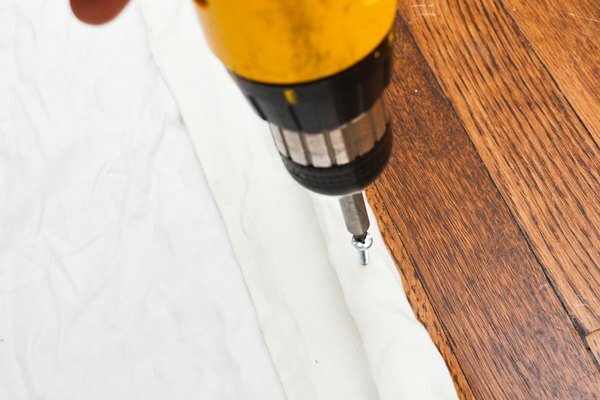 A drill works best for screwing into PVC, although this type of screw can be done manually. Make sure the fabric you use is strong enough to hold your dog.